London Cheap Eats, the site that gives you the best London dishes at £8 or less, is launching its first pop-up at Clutch Chicken in E2, on Thursday 1st December 2016. The £8 ticket gets you food worth approxmately twice that at standard Clutch prices, plus vibes, and the chance to win a prize if you snap and share your food pic on the night. Plus there will be some of the London Cheap Eats crew there on the night to chat to! "Please join us at the first of a new and ongoing series of exciting events brought to you by the team behind London Cheap Eats: London Cheap Eats Pop-Ups! 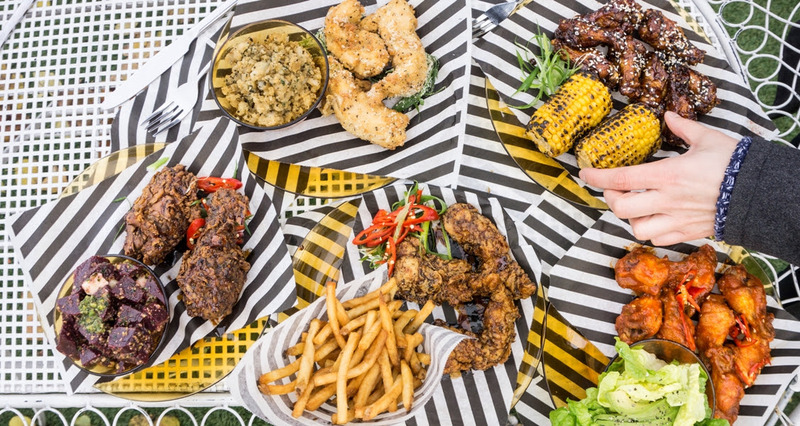 Our first #LCEPopUp is with fancy free-range chicken restaurant, Clutch Chicken in Hoxton, and we're bringing you a 50% discounted menu. Your £8* ticket includes entry, along with your meal. That's your choice of chicken main (vegetarian option available too), coated in the flavouring that takes your fancy, along with one of their tasty sides. Standard prices at Clutch Chicken are around double that; we hope you enjoy the discount! There will also be a cracking Rn'B playlist for all round good vibes. As well as the above, if you share a picture of your meal from the evening on social media, you'll automatically be entered into a draw for a chance to WIN a meal for two at Clutch Chicken, so you can return another day and carry on with the party. Full details of how to enter provided on the night. There are a limited number of tickets available, and this pop-up is on for one special night only. Most of the London Cheap Eats team will be joining the fried chicken festivities that evening too, so we hope to see you there!"